Styled with the brigitte bustier . 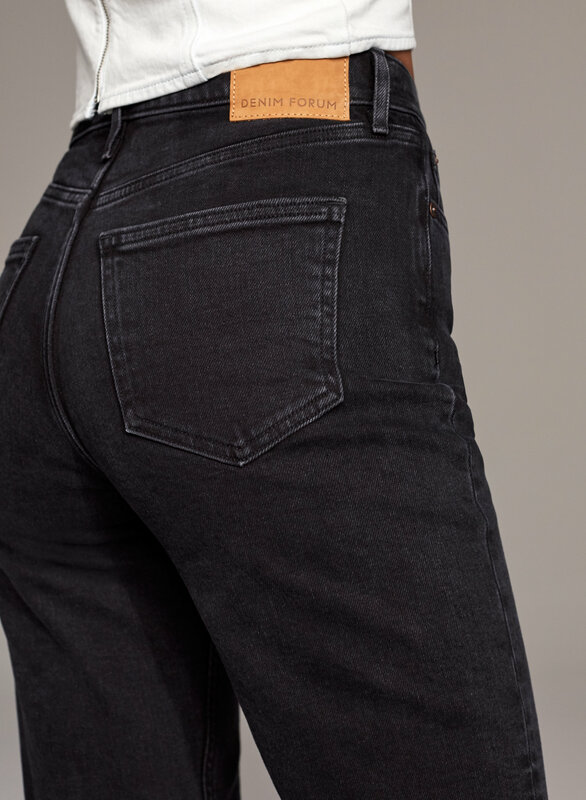 Inspired by the visionaries who spoke simply (and said everything), the Arlo is Denim Forum's signature straight-leg jean. Arlo's easy high-rise fit is designed for an effortless look. 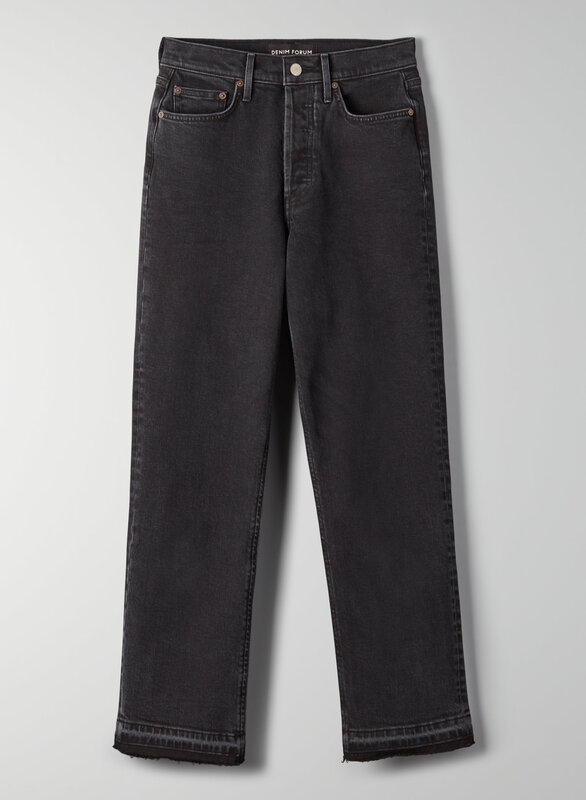 Premium Italian, organic-cotton denim wears beautifully, making the Arlo a pair you'll treasure over time. This version comes in a black wash and has a let down hem.